During the year there are several reasons why people consume sweets, such as special events, holidays, and of course, cravings. However, not many people really consider the damage that the types of sweets they consume has on their teeth. Even though they are yummy, sweets and sour treats can cause a considerable amount of damage when consumed in large numbers. Tooth enamel can be damaged from the intake of too many sour foods. The enamel, which is the outer layer of teeth, is hard and composed of minerals. This enamel can be destroyed by repeated increases of acid, having a poor diet, and having physical damage or impact done directly to the teeth. Sour foods have an increased amount of acidic substances in them, causing them to be very dangerous to tooth enamel. When over consumption occurs, the tooth enamel will begin to decay. This process is also called demineralization. There are plenty of myths out there about what you should and shouldn't do and what effects that it will have on your body or one of many of your body parts. There are an alarming amount of myths about what can be safe for your teeth. It is a myth that consuming sour drinks through a straw will eliminate the acidity from attacking the enamel on your teeth. By drinking through a straw you can avoid having the drink splash up against the teeth, but eventually your saliva will spread it throughout your mouth and over your teeth. Another myth about sour drink consumption is that it is worse than drinking soda. Sodas contain phosphoric acid and refined sugar, making it much worse to consume than a sour drink. Both of these ingredients have been linked to being the main cause of tooth decay. Just because drinking sour drinks or sodas might be unhealthy for your body and your teeth does not mean that you have to eliminate them completely from your life. Moderate your intake by choosing to treat yourself to a soda or sour drink and choose to drink water on other occasions. How Sour Foods pH Levels Affect your Teeth? The measure of how basic or acidic a liquid is, is called the pH level. It ranges from 0 all the way to 14. Anything that measures half way at 7 is considered to be neutral. Water is neutral, because its pH level is 7. The pH level of sour candy can range from 6 all the way down to 1.5. The lower the pH level, the worse off it is on your teeth. Battery acid has a pH level of 1. Some sour sprays, offered in the candy isles, have a pH level of 1.5. These candies are extremely damaging to your teeth. You do not have to cut out all sour foods and beverages. In fact, you can take certain things and dilute them with water in order to lower the pH level and make it easier on your teeth. 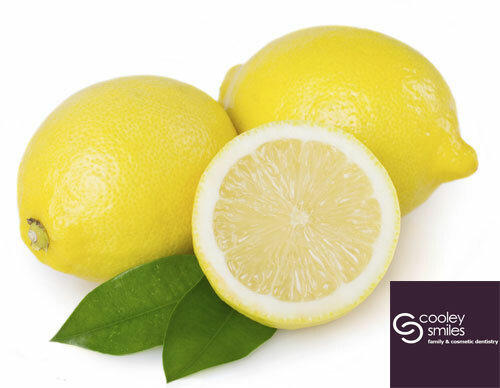 Many people experience problems when they over consume sour foods and drink sour things such as lemon juice. The best way to make sure that your sour cravings can be resolved and your teeth stay in great shape is to continue to brush regularly after every meal. Flossing and rinsing your mouth with mouthwash can also help in combating the acid found in sour foods. Remember to schedule your dental appointments every six months and keep them. It is important to have a professional cleaning to avoid further damage from the foods that you consume. Have questions about sour foods? Contact us today for more information.